What a tender & lovely old photo! 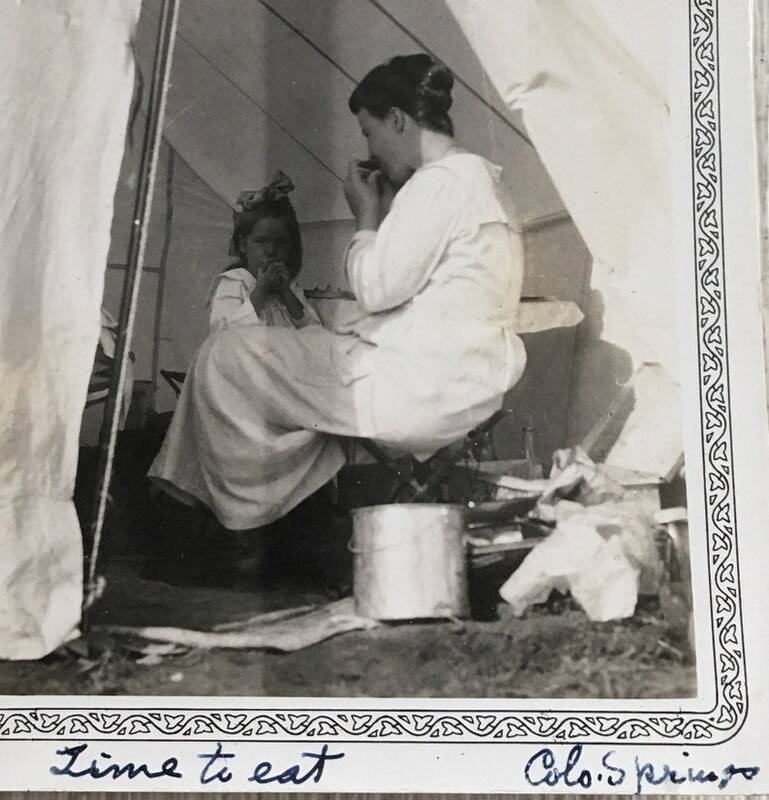 Circa late 1910s, a little girl & her mother eat in a tent while camping in Colorado Springs. The shadow of the tent pole is visible down center of photo. Hand titled along bottom border. 4 x 6 inches; good condition.